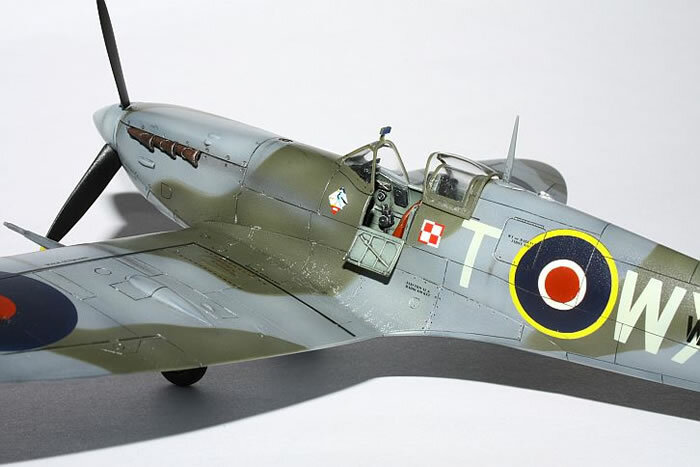 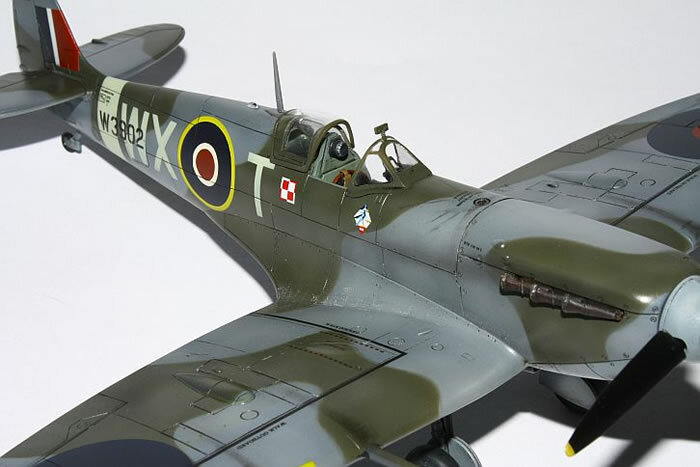 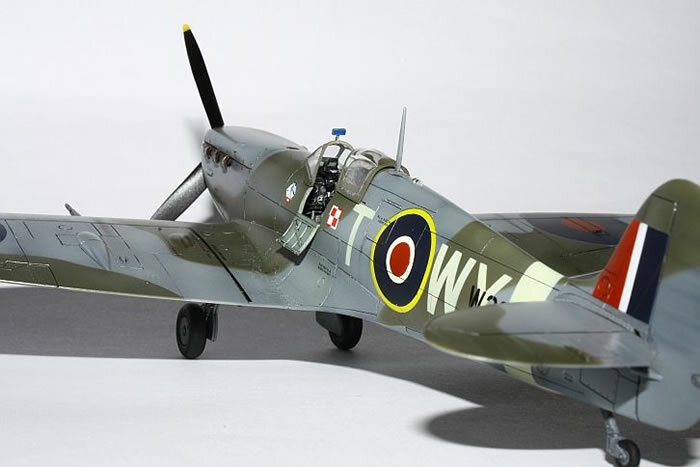 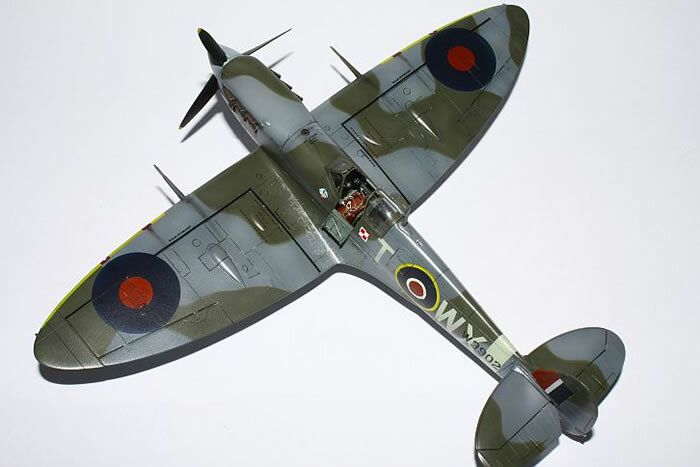 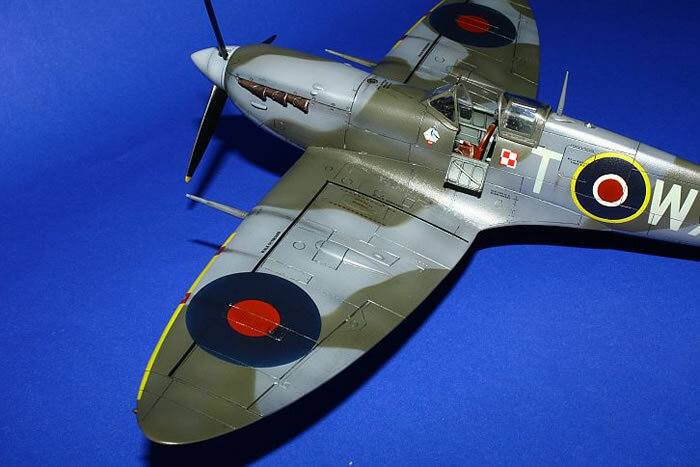 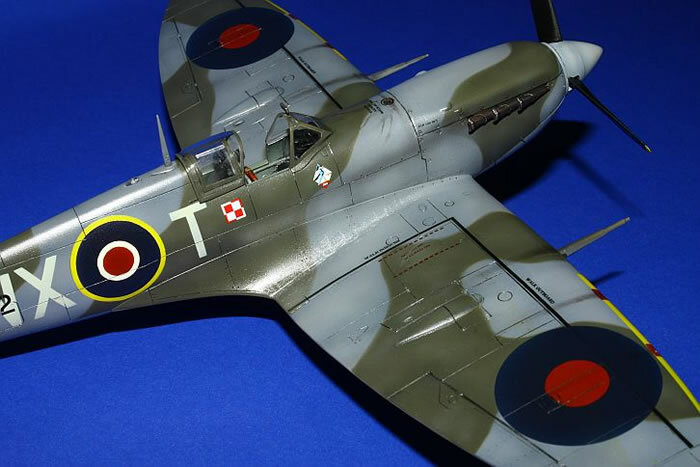 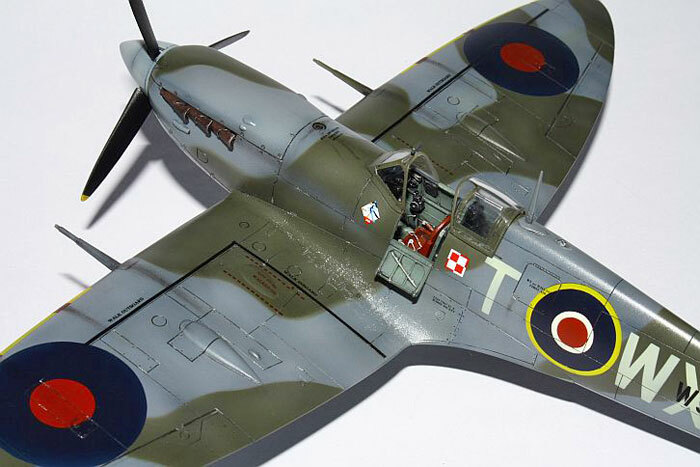 Here are some photos of my Tamiya 1/48 scale Spitfire Mk.Vb. 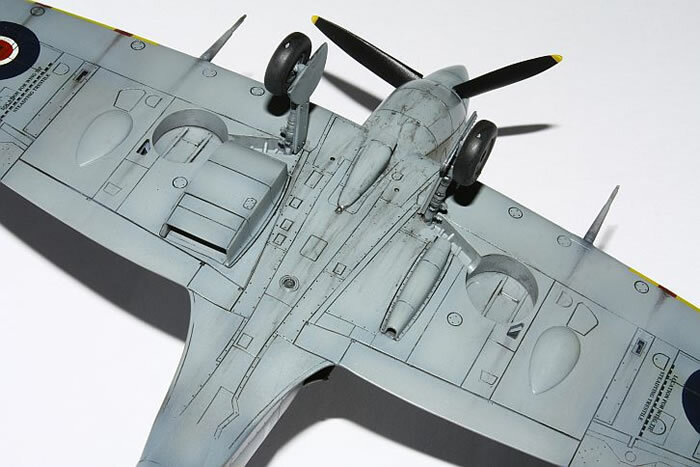 I used Eduard's Zoom photo-etched set, resin exhaust pipes from Quicboost, and Montex canopy/markings masks. 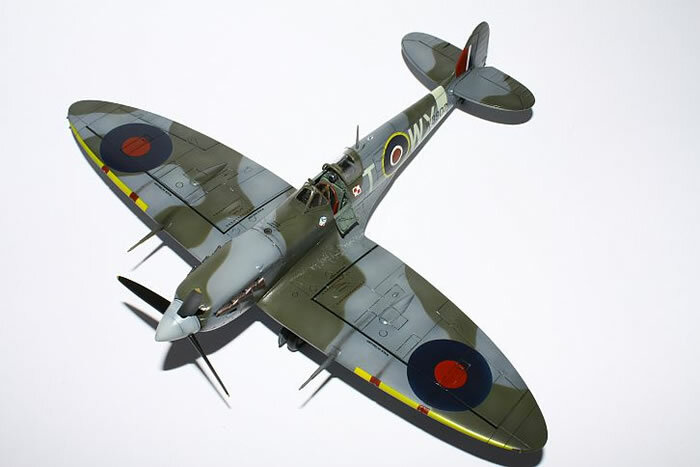 My model is painted with Gunze acrylic paints and weathered with MiG pigments. 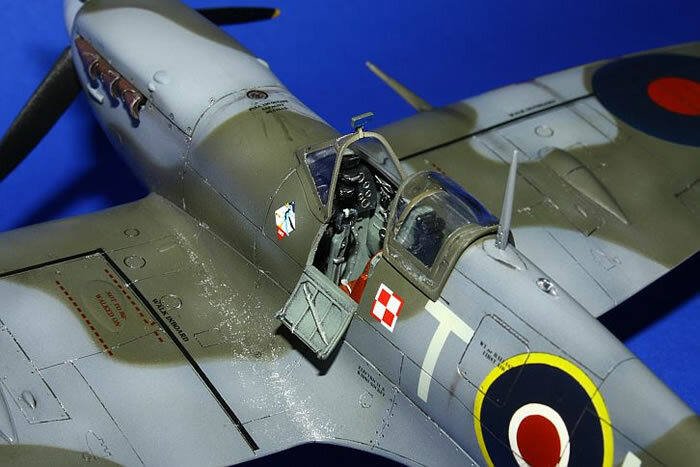 The aircraft is finished in the markings of 302 "Poznanski" Polish Fighter Squadron.